Brighten up your everyday look with this sparkling rainbow ring from Argento. 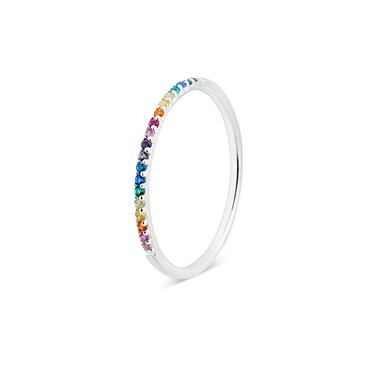 Crafted with sterling silver, this band ring features a vibrant mixture of colourful crystals. Wear alone or stacked with other rings to create a fun and playful look.